Learning Birds Topography is available in Apple App Store. The first screen shows a passerine with lines pointing to different feather groups identified on the bird. The user can touch any of the answer text labels to display the feather group that the specific line points to on the bird. 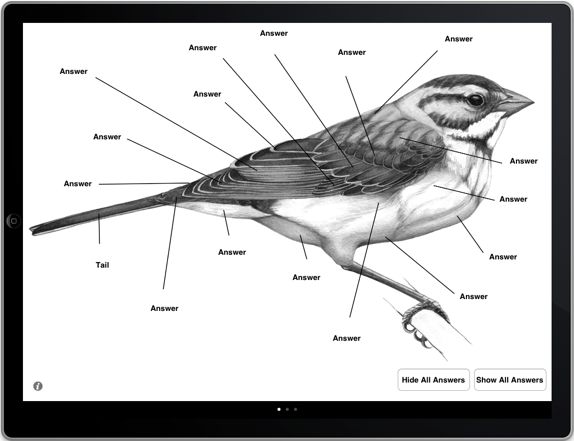 In the above screen shot the user has touched the answer text label that has a line pointing to the tail of the passerine. The second screen shows a passerine in flight with lines pointing to different feather groups identified on the bird. 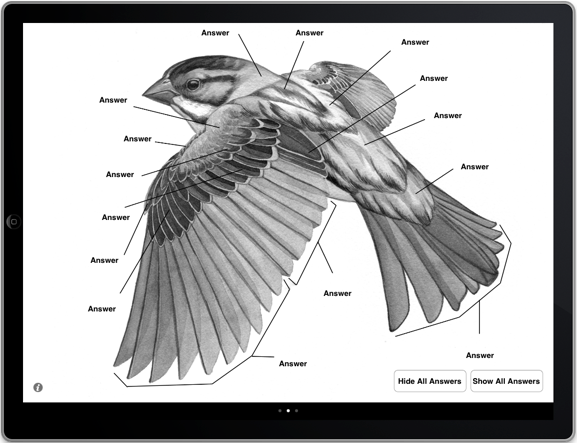 In the above screen shot the user has touched the show all answers button to display all the feather groups identified on the bird.